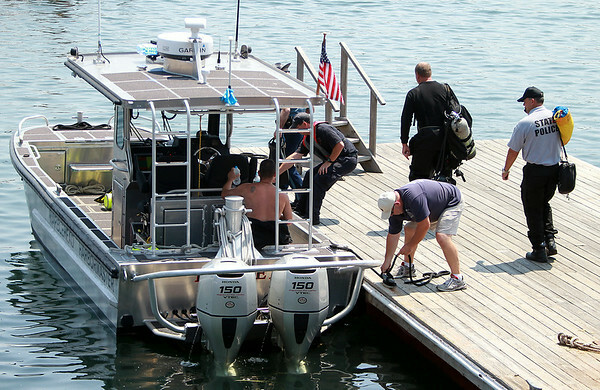 Two divers from the State Police Underwater Recovery Team board the Marblehead Harbormaster's boat as they took to the water to help in the search for a missing diver off Children's Island on Tuesday afternoon. DAVID LE/Staff photo. 7/22/14.